Get your art noticed before your big opening when you post the Image Upload Poster. With room to upload up to ten unique images onto the template, you can promote both the artist and any sponsors or donors. The simple, classic design comes in tickets, flyers, and invitations, too! 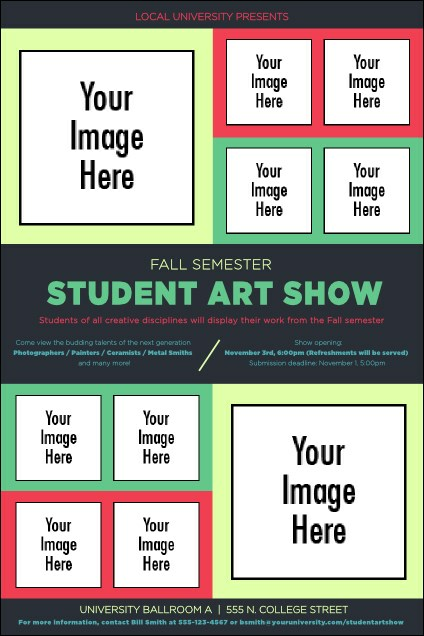 Showcase your work with the right poster from TicketRiver.com.au.